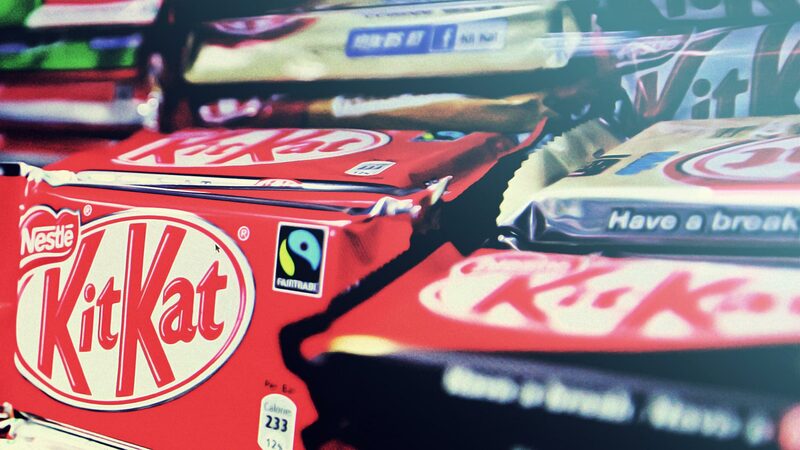 Nestlé has failed to win the right to trademark the shape of its iconic KitKat chocolate bar. But how have other product brands fared in gaining legal rights over their own shapes? Will KitKat lose out to cheap imitations or is its success about more than just shape? Nestlé has once again failed to win the right to trademark the shape of its iconic KitKat chocolate bar at the UK court of appeal. The company has been locked in legal combat with Cadbury owner Mondelez since 2006, in a bid to protect its right to the four-fingered chocolate bar that breaks with a snap. This isn’t the first time this has happened in the world of confectionary. For example, Toblerone successfully trademarked its zig zag pyramid shape, as well as its triangle box. Real-world shapes can only be trademarked if it is a major part of the product’s recognition and a company’s marketing of it. This is known as the ‘badge of origin’. However, it is notoriously difficult to prove. POLO, for example, failed to trademark its hoop size and shape despite its slogan being ‘the mint with the hole’. The problem for KitKat is that it is also well known in its two-fingered and Chunky variations and so hasn’t focused on its four-fingered structure for many years. And this hasn’t damaged the brand – as recently as January 2017, studies have ranked it among the UK’s top 10 favourite chocolate bars. Nestlé should take some solace in that the ruling suggests that the KitKat brand isn’t just about a shape – it’s more than that. Shoppers have continued to buy them for decades and recognise the KitKat name as a mark of quality, good taste and dare we say it, part of modern heritage. If imitation is the greatest form of flattery, then KitKat won’t be going anywhere anytime soon.